Over the last 12 months we have observed, discussed, advised, been advised and learned so much from project releases within the industry. As a team of marketers and business people we believe in and champion data driven decision making. Even when you are treading new ground, there are lessons to be taken from those who have gone before you. They may not have gone as far as you have gone, or had as much success as you have, but you cannot ignore the data mine that they are. We always start by looking at how far they went, how they got to where they got to, what you would/could have done differently in their position. With the advantage of retrospect, you can look at their actions from a vantage point. That is the purpose of history. Even if you believe that “Before you was nothing.” Look at that nothing and learn from it. I’ll step away from being overly philosophical so we can get into the data. There have been some great releases over time. One of the most notable ones being Jnr Brown’s Tongogara. As far as I can tell, there hasn’t been any single that has come near to replicating that level of success. There has also been Few Kings, Noble Styles, Takura, Brythreesixty, Courtney Antipas to name a few. These artists have ticked some key boxes with their releases. We hope to highlight those boxes so more and more artists can build on these successes to achieve similar or great feats. Most artists say that they would do this thing full-time if it paid the bills! That’s a massive statement for anyone to make. If music is what you would like to put bread and butter on your table, it goes without saying that it should receive special treatment from you. This is your business. Consider yourself a startup. It requires uncommon dedication and sacrifice to make a success of a startup. This is the price that most successful artists have to pay. I said most, there are some anomalies out there. Your persona should be built to mirror or represent the audience that you want to reach. People buy into what they believe in. If they see similarities in you, they will ride along. There are several media gatekeepers, present and some that will come onto the market as we move forward. Build with these people. Reach out for advice when you are in need of it. Surprisingly, we have a culture of openness and sharing. This is not to say you pour your heart and soul out to everyone. Ask questions! Learn, develop and grow. One of my pet hates as one of the gatekeepers is receiving music that is not tagged. 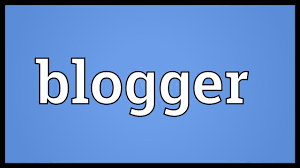 There is no reason that any webmaster, blogger or media person should have to tag your tracks for you. It takes about a minute for you to do it. Do it. The spelling of your name should be consistent, unless you have a reason to have it otherwise. If your spellings vary, you are laying bricks on various sites and expecting to somehow build one house. Tek Neek, Teq Niq, and so on. How do we know which one is the one or what the purpose of varying spellings is? Don’t include unnecessary information. If it doesn’t add value to what you are doing, it has no purpose. I keep seeing phone numbers of artists and producers on tracks. Put that on your Twitter, website or blog. Press receives untold number of tips and tales that they are expected to consider publishing. Yours should minimise the barriers of entry. What are some of the reasons why the press may skip a good publications? Too much to do to get the story ready. Not enough time until release day. Solve these problems for them within your press release. Make your press release one that can be taken straight to print. The simplest way to do this is to do some good old proof reading before sending it out there. Get others to read it as well. If you have a budget, reach out to a writer or publicist to handle this for you. Heck I’ll even recommend one, https://twitter.com/Phroetiq, hit her up. She’ll be surprised to note that we recommended her, but her work is good. Is this relevant for the publisher or publication that I am sending it to? Does my release tell the whole story or most of it? Do they have enough time to read it, get in touch with you before releasing? Give them a week at a minimum. Are your contact details included, so they could get hold of you if they need more information before publishing? If I was reading this story in the press about someone I didn’t know, what impression would I have? Provide the impression you would want your readers to have. There is a great wave of artists that want to have their music placed on flagship music websites such as iTunes. 9/10 times I advise that this isn’t as important as they make it out to be. iTunes for Zim artists at present, is more of a status symbol than a necessity. It’s almost like a guy who insists on having a Ferrari in Gokwe or Rusape or Chivu. You catch my drift? It is simply not the most viable method of distributing music for most artist. What percentage of your fanbase uses iTunes to purchase music? What percentage of your fanbase in based outside Zimbabwe? iTunes gives you the added platform for international reach, but it’s almost pointless if you don’t have said fanbase. Granted you will pick up a fan here and there from it being there, but is it worth the cost? Probably not. Two things to note from the image above, there are no Zimbabwean artists in the first 18 songs. The 19th song is by Minister Michael Mahendere, who I should imagine doesn’t share fan demographics with most Zim Hip Hop and Zim Dance Hall artists. Only one artist has more than 1 sale. Now we see Winky D making an appearance at number 35. Killer T comes in at number 60. ExQ appears at 77, Freeman at 78, Mwungu Africa at 83, Jah Signal at 84, Buffalo Souljah at 86. Let’s crunch the numbers. 7 artists would have earned probably $7 in revenue for iTunes if singles are priced at $1 each. Their revenue share would then be on that 70/30 split with Apple. Which would leave them with a collective total of 0.3x$7=$2.1. That may also be split with distribution companies as well. In this case, we ignore that and say each artist would have earned 30 cents. As a marketer, my goal is always to get the content to the right audience through the right medium. iTunes for most artists in Zimbabwe is not the right medium, neither will it get the right audience. You will have less sales, less revenue share and much more hassle to get it set up in the first place. I could use this moment to tout our service as an alternative, but I won’t. Do it yourself, I’ll highlight later how artists like Courtney Antipas have handled this. I probably should point out that this isn’t a purely Zimbabwean problem, I’ve encountered this with a Zambian artist we work with. He’s adamant about having iTunes placement even with the odds stacked against him. It can be successfully done, but I wouldn’t be doing my job if I don’t point out the fallacy to him. Jnr Brown’s Tongogara is possibly the greatest commercial success in memorable history from a single, especially within Zim Hip Hop. I’ll wait to be corrected, but won’t hold my breath. The marketing behind it was pure genius. Shout out to big bro, Begotten Sun for that one. It was a lesson for me and other marketers as it should be for every reader. We will attempt to break it down in this part of the case study. Jnr Brown has kept everyone waiting for years for his first full length album, Morning Glory. It has been teased here and there, I recall Mcpotar pranking us at one point as well. While most artists are sooner forgotten than missed if they don’t release material periodically, such is the uniqueness of Jnr Brown’s artistry and machismo, that he falls into the latter. There is always an air of anticipation that surrounds any release that he participates in. The formula for this one was simple. Radio stations can barely get this man to do an interview or make an appearance, but he turns up with Guitar Sangoma, Begotten Sun and a mad new tune! Tongogara is born. Hearing this on audio would have been great, but they release a video! The visuals go viral! Jnr Brown bodies the live set with the guitarist’s backing. It’s unlike anything we have seen. Rappers don’t usually come with a guitarist for a set, no drummers, nothing. Now the perfect storm is brewing. Everyone wants this track, and they have a delivery plan in place. The track is released commercially and delivered through Zimbabwe’s most used platform, WhatsApp. A marketing and service delivery masterclass. Bringing the mountain to Muhammad. Timing of the commercial release is key as well. The longer you delay the higher the likelihood of leaks, and of the virality dying down. Strike this iron while it is still hot! Simbi ino rowa ichapisa! I’d pre-order a Jnr Brown project. You know why? He has done enough over the years to convince me beyond any shadow of doubt that if he releases something. It is worthy listening to. People don’t forget, make every release one that counts. Marketing and intros are like mini-skirts, they show just enough to make you wonder. The video preview was one of the components of this marketing strategy. Don’t give too much away, just enough to draw and retain attention. Catering to the market as it is: Adjust your sail, don’t fight the wind! Most people cant purchases using credit cards online. The product has market success only so far. How do you turn that into hard cold cash? Deliver via WhatsApp, effectively lowering the cost of download to the customer. Get Paid via EcoCash, most people can and will use that. I am not sure how much it grossed over time. In the first week alone, it gross over $5000, which is probably the equivalent of going platinum. I can guarantee you that there isn’t another artist that has done these numbers in the same period especially through iTunes hahaha, and with a single. Cater to the market in the way it is. Jnr Brown and Begotten Sun choose to adjust their sails to match the wind’s direction, instead of continuing to push against the wind direction! The track is available on various online platforms for the international/diaspora fans. That would have fallen under could have, but do we doubt Begotten Sun? When you bring together artists (Jnr Brown, Tehn and Fizzo) who draw varying fanbases it builds one much large pool of fans. This is what Few Kings has done, it’s brought Jecha and maSalad together. Do people still use that term “musalad”? I digress. We previously covered the release of Happy in another case study, so we will skip to the newest release from Few Kings. The Feeling Ain’t Fear is a few months old now. It revealed a different side of me as a fan. Not one that I wasn’t aware of, but one that I hadn’t confronted. I judge my favourite artists based on expectations built from previous work. With that, I wasn’t happy with the album on first listen. I subconsciously expected it to be like The Feeling Ain’t Fair. The more I listened, the more I fell in love with it. It’s a different season in the lives of the artists. As far as I know, this was a surprise release. This is a tactic that works for those who have a loyal fanbase. We are always waiting! The power of social media is a game changer if used well. For the sake of this post we will ignore their SnapChat, Instagram and Facebook presence. Of those we may be able to convert 3-5% into paying fans, at a minimum: 0.05×31.46=1573 people who are likely to pay for their music. If they sale an album for $5, they’d gross $7865. This is only through an online social media reach. The bots are pre-programmed to produce specific content on request. As shown above. This is on Facebook Messenger. Here we see that issue of delivering content in the way that works best for recipient. Here is an example of mixing freemium an paid models. The freemium model has been used to build a list of interested individuals for this content. The marketing that follows is targeted. Once you have a targeted audience its a no brainer. Doing the same thing using ads could be very costly, perhaps an average of $0.3-$0.96/acquisition. With great success from their first project, there is anticipation for whatever they release. People want their music, simple as. The freemium model in this case has been used to make sure that the music reaches the masses. That is how the brand has been built. One could also argue that it is on the back of this model that their HAPPY Tees campaign has such success! You don’t hear of merchandise selling out that often. Once they have distributed to the local masses, people will talk. The product will be sought after by the diaspora based fans. They have been able to cater for those as well. Their music is available via iTunes and such platforms. The key thing here is that they saturate the local market and create a buzz that reaches the international community through social media. Sold out merchandise, successful tours, Zim Hip Hop’s biggest group and awards. Hit us with a single every now and again…perhaps? One of the wittiest men in any setting. This man genuinely has a beautiful mind. Artist tend to become one sided, and miserable in some way. To be able to maintain that wit and continue to produce the music at the level of consistency that he has done so far is a feat in itself. There is a delicate balance in speaking socially while maintaining a following. This is something you see most “papas” fear. You may say something that offends those that contribute to your welfare. That’s a fear that doesn’t seem to occur here, fortunately for all of us. Art that is produced from a position of fear is dead! Mari Kuna Papa! Not many can do what he does as far as social media is concerned. Wit doesn’t occur naturally for most, so don’t hold it against yourself if you don’t quite replicate his level. Key components is this is consistency, relevance, and just good old tongue in cheek. I first listened to Noble on his first project, Masofa Panze. That same wit I’ve raving about is what captivated me. When you listen to a song like Madhorofiya and then move to Mpho’s story. When you listen to Dhuku YeChembere, then move to Chamunorwa. He has a great range that make light of social issues without being patronising. Bringing up serious issues in society while managing to make them funny. At heart I believe he is a comedian. A man full of life, unapologetically enjoying his life. There is an emphasis on product quality here as well. I would pre-order a Noble Styles project. He has yet to disappoint. What would make you pre-order an artist’s project? That’s a question worth of consideration. Tick those same boxes that you expect other artists to tick for you. Besides the very first Masofa Panze, I haven’t come across a free album by Noble. Ipayi Mari kuna papa! Not having a freemium model is not something that will work for all artists. Evaluate your following and consider how many of them could be converted into paying fans/customers! You are a service provider of sort. This is a business. Let’s say for interest sake, you convert about 3-5% of your social media followers into paying customers, what does that look like for you revenue wise? If done well, you may also be able to add an extra 2-3% from friends of your fans. Add that up. Put an actual number to it. Noble usually sells his music for $3. He has 4.6k followers on Twitter and more on Facebook. Lets say 11k in total. Converting 3% of those would convert 0.03X11k= 330 potential paying fans. Estimated revenue from album sales: 330x$3=$990. That’s a minimal estimation. We reached out to Noble a few years ago with a proposition of sorts. Our conversation didn’t get the results that we were after, but left us with a new level of understanding and respect for the man. Content control is important to an artist. You should be able to curate where you place your music. Consider longevity and how much control you are forfeiting in the process. If you listen to “Facts Only”, you will recall Noble’s reference to the gatekeepers. When he didn’t get what he wanted from them he decided he would become one of them instead. There is a high demand for the content that Noble produces. He is able to control his supply, in such a way that he can maintain that same level of demand. It’s clearly paying off. Masofa Panze is one of the biggest brands within its industry. We failed to come up with one here. Actually, we got one now. There can be more done to cater for fans based in the diaspora. His music isn’t the easiest to come by once you are out of Zimbabwe. I probably have a story about how I encounter music or the person behind every single artist in Zimbabwe. Brythreesixty is no different. His tales is one of triumph by any means necessary. I’ve seen times he was ridiculed online for what was honestly a poor quality of music he was making as part of Christhood in their early days. Most would have cashed their cards and walked away, but not Mr Wiseman. He fought his way, honed his craft and produced better and better quality music. One of the earliest things that he did was create a group on Facebook which was at the time one of the largest of its kind. It facilitated conversation, sharing of music and ideas. This is one of the thing he later spoke about on an interview with 1Africa Radio. I’m an advocate for building mailing lists. This is one way to do it. Have a group of people who are ready to consume the content that you produce. It allows you to receive valuable feedback, puts you a prime position for distributing said content once it is ready. Almost 35k followers is not a bad return. Beyond honing is musical prowess, Brythreesixty has gone on to push his graphics side of things even further. The art that he produces for his projects is always eye catching and attention grabbing. The key thing to note is that when presented with a large dataset, such as we are when browsing social media, our attention span shortens. We want to see more and more things. This is where great thrives. Pull the viewer in! Most of Brythreesixty’s projects are available for download through various outlets online, as well as here on our website. The freemium model is one that allows artists to push their content to listeners and grow their brand. Financially it is a long term investment, you give up immediate gratification for future reward. The future reward may come in the form of endorsement deals based on the following that you build by becoming an influencer. It may also come in the form of touring due to demand for your music, because the average person has listened to it. He has also gone on an international offensive to Nigeria, with one of the track he did with Lil Dizzie winning an award out there. The internet is a great place to build relationships that will foster these sort of opportunities. As an artist, you ought to do the “Google Test” every month or two. When you type in your name or your stage name, what comes up? It gives you things to think about. You may realise that there is another artist in the same domain using the same name, which can be detrimental to one of you, case in point, the two Tinashes. You want to control as much of or at the very least be in contact with those who create or control the top results for those search terms. I work with Rymy Ray, so I’ll use him as an example. The only thing we didn’t see eye to eye in was the transitioning method from Christian Rap to secular. I support his decision, but think it could and should have been done better. We live, we learn. 2018 as a whole has been an absolute belter of a year for Mr Ok Ok. The release of one of the best full project in Zimbabwe for years has further catapulted him into so many hearts and homes. His range as an artist, his brand and work ethic are things to be admired. Here are some of the things that you can learn from Takura. If you are looking to book artists for a live performance and his name doesn’t cross your mind, that is witchcraft. Not many artists can pull the sort of crowds that Takura can. This, I believe comes from him being relatable. He fits in with “MaGhetto Youth” as somewhat of an alumni, and with the “MaSalad”, as someone who has risen up the ranks, making money for himself and assimilating almost seamlessly into it all. His track “Takabva PaJecha” highlights this in the outro in an ever so subtle way. As he speak to the Musalad girl, and owns his “Ghetto Youth” roots. Won’t even say much here. Show me artists who are producing the same quality in a single body of work as Takura did in SHTDi. I’ll wait. Your music is an ambassador for everything you will set out to do. Don’t release half baked stuff! If we were to be approached to find a worth candidate to represent a fashion or lifestyle brand in Zimbabwe or the Southern African region as a whole, Takura would come to mind. The way he has branded himself, and continues to challenge and push boundaries is testament to the faith he has in himself! Consider your actions and everything you put out to be a part of a brand that you are building. What sort of brand would associate themselves with you right now? Think about that one objectively. He’s done very well on the charts and established himself as one of the biggest acts across genres in Zimbabwe. He certainly has a lot on his plate with things such as #FillUpHICC to work on. There are a ton of unsuccessful artists trying their hand on clothing brands. I think, with his following and brand, he would pull this one off. Perhaps he could even partner with someone already doing something in that niche, on a revenue share sort of deal. I have been vibing to this man since Blue Jeans days. Watched his rise, and watched him walk away from it and rebuild, rebrand and relaunch himself as Courtney Antipas. iLLCeey is what we knew him by. In those Hunza Mari days too. What some may not realise is that he is doing something that is not being done by most artists in this space. Hope it helps you get into it yourself. While most steer away from the web, and learning about the industry that they are in, beyond the music they make, Mr Antipas does it differently. He is one of the few web savvy artists in this industry who create platforms for themselves. He has had his content on this own website for a while now. I believe every artist should invest in something similar. To show our support for this, we will give away another 10 web hosting plans to artists, in partnership with @paracleteinc. Having his own website allows him to exercise that all important content control. He makes sales via eCocash and TeleCash. All of which is done through his own website. It not only lowers the cost that come with having a service provider, but also maintains a great degree of control over the process. His projects have been released on a mixture of freemium and paid models. Occasionally he also releases all his music for free download. That balance is key. Get the music out so it can be heard, but also put food on your table. The fact that the music is out there is one of the ways that he has been able to partner with FreeImpressions Africa and tour the continent over several years. This is not something that most artists have done, more so in the genre that he is in, as well as being a Christian Rapper. Most artists’ merchandise is a joke, I mean, I saw J Cole’s merch at a festival recently, I wouldn’t pay for that. My idea of merch is creating things that not only your die hard fans would by, but things that others who have never or may never like or encounter your music would still buy. That’s what he has been able to do with the LWDR merchandise. Putting a name or long on a t-shirt is simply not good enough for me. There must be meaning to it. He has done a lot in a short period of time. He’s gotten married, had a son, is raising that son, toured, made new music, had a heart scare. What else could we expect from the man? Marketing tip: If you are winning win more! Push as far as you can while you are ahead. It’s a numbers game, you cannot afford to wait. People have very short attention span, while you are still trending, while they are still talking about you, give them more to talk about. Examples of this can be found time and time again in international marketing. If they are not talking, give them a reason to. They do say no publicity is bad publicity, unless you hope to keep endorsement deals open for the future. Present yourself and content in a professional manner. Make sure your music is tagged and branded appropriately. Create Good press releases and syndicate those. Deliver your content to the right audience, through the right channels. Build necessary channels if the available ones aren’t working for you. Use and grow your social media reach. Do the Google Test monthly. Build an online platform of your own. Build relationships with other artists and industry folk.